Colourful Gemstones attached to a slim line ball chain. This is a large and gorgeous chunk of genuine, earth mined amethyst, measuring 2.5cm in length. 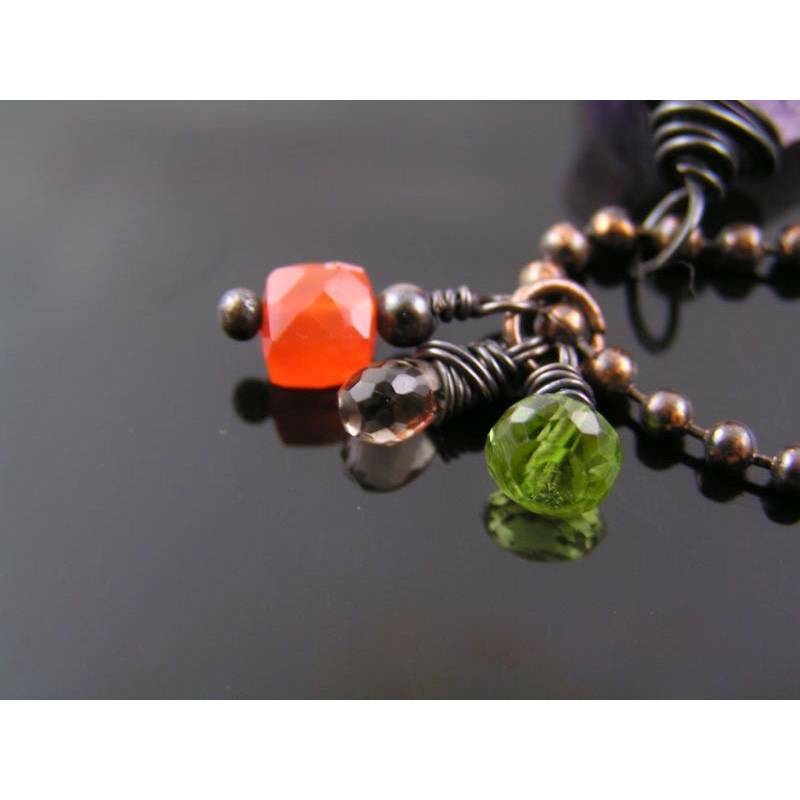 I added a separate little pendant with a faceted Carnelian cube, faceted Smokey Quartz and Peridot drops. You can wear either one of the pendants or both together. 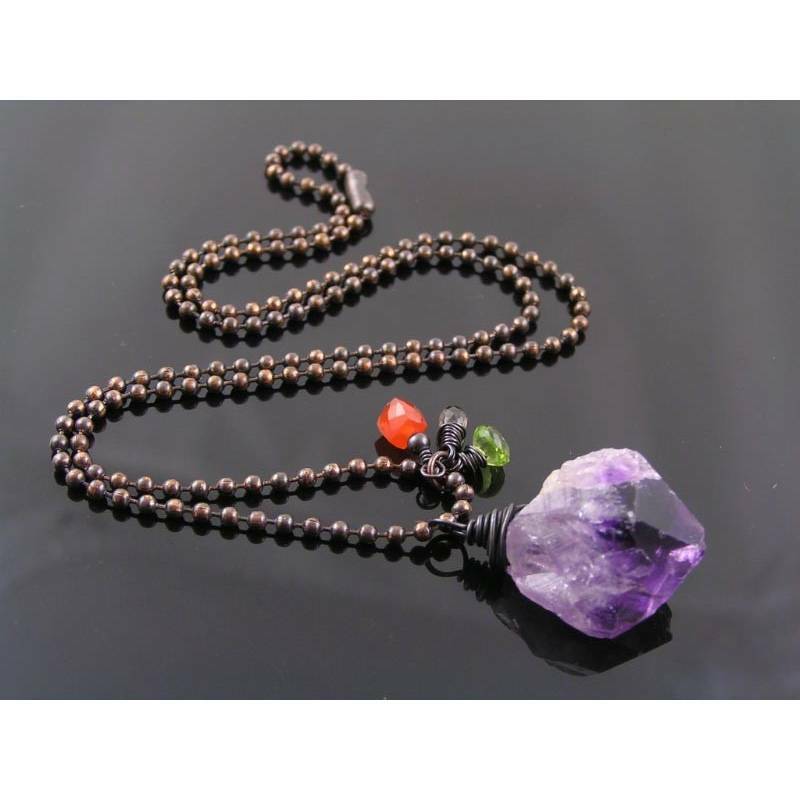 The ball chain gives the whole necklace a modern look. 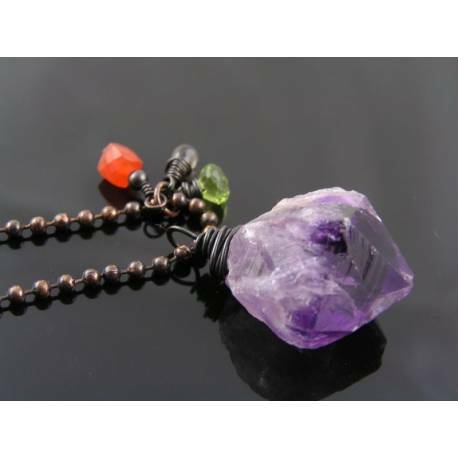 It measures 50cm in length and closes with a traditional ball chain connector. All metal is solid, oxidised and polished copper. ☯ Amethysts are said to help balance and relieve stress and anxiety as well as increase spiritual awareness and inner peace.